Six full-time professors are joining the IESE faculty for the 2018-19 academic year, bringing their academic excellence and their commitment to students to the school. Prof. Cosandier received her PhD in Economics from the University of Iowa and her master’s degree in Economics from the Toulouse School of Economics. She specializes in applied microeconomic theory, and has studied the effect of the emergence of non-practicing entities on the market for patents and in patent buyouts, and its policy implications. Prof. Cosandier currently examines the endogenous formation of bidding consortia in auctions for assets of uncertain value in environments with strong asymmetries across bidders. Prof. Dennerlein holds a joint PhD in Organizational Behavior from Rotterdam School of Management (Erasmus University) and HEC Lausanne (University of Lausanne). His research examines how leadership behavior (e.g., empowering leadership, narcissistic leadership, leader justice) and employees’ individual differences jointly affect employee creativity and performance. He is particularly interested in employee creativity and pro-active types of work behavior. His work has appeared in the European Journal of International Management, and he presents his work regularly at leading management conferences such as the Academy of Management Meeting. He is a member of the Academy of Management. Prof. Dennerlein worked in various industries, such as consulting, automotive and sporting goods, across several countries, but gained most of his business experience in finance in Germany and the U.K.
Prof. Jané earned a PhD in Industrial Engineering from the Universitat Politècnica de Catalunya and an MBA from ESADE Business School; he completed a PDG at IESE. He first joined IESE in 2012 as a part-time lecturer in Production, Technology and Operations Management in its Executive Education programs. Prof. Jané began his professional career at HP as a manufacturing engineer and since then has held different regional management positions in manufacturing, procurement, planning, supply chain and logistics. His areas of expertise are the management, optimization and innovation of global supply chain operations, with a particular emphasis on the reengineering of logistics networks, outsourcing and strategic alliances in supply chain, manufacturing and logistics. He is also specialist in Industry 4.0, new production technologies such as 3D printing, the design of customer-centric operations and strategic project management under complexity. Prof. Markakis holds a PhD from the Massachusetts Institute of Technology. 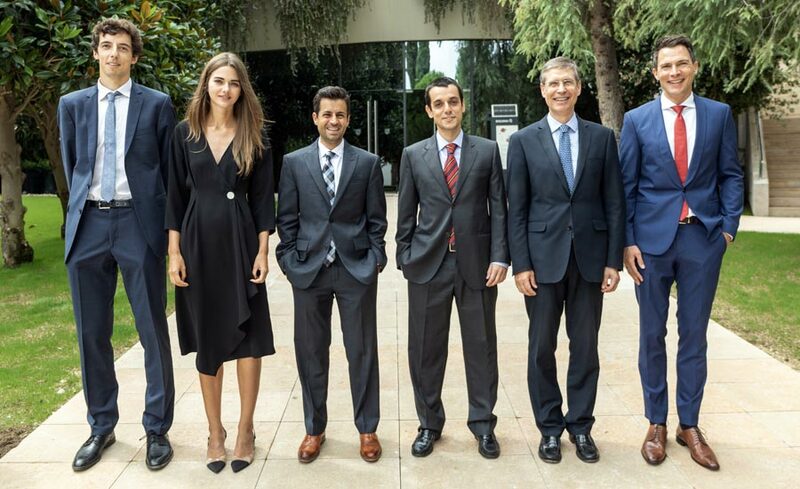 Before joining IESE, he worked at the School of Economics and Business at the Universitat Pompeu Fabra. He has held teaching positions at MIT, INSEAD and London Business School, as well as a research position in Bell Labs. He is the recipient of the Ramon y Cajal and the Juan de la Cierva fellowships from the Spanish government, and the COFUND fellowship from the Marie Curie Actions of the European Commission. His research interests are in modeling, analysis and optimization of stochastic systems, and their applications in operations research and the management sciences. In the current era of big data and driverless cars, his research focuses on learning problems arising in operations management, as well as economic issues in transportation science. His work has been published in top academic journals such as Management Science and Mathematics of Operations Research. Prof. Neckebrouck received a PhD in Business Economics from Vlerick Business School, and master’s degrees in Industrial Management, in Business Economics, and in Civil Engineering from Ghent University. His research focuses on the governance of privately held entrepreneurial firms, with a particular interest in family firms and private equity. His current research centers on how private equity minority investments can contribute to the performance of family firms, and on the relationship between private firm governance and the development of firm-specific human capital. His research has been published in journals such as the Academy of Management Journal, Venture Capital and the Academy of Management Best Paper Proceedings. In 2018, his dissertation-related work won the Best Doctoral Dissertation Award from the Family Firm Institute (FFI). Prior to joining academia, Prof. Neckebrouck was a management consultant in the telecom industry. Prof. Valentí holds a PhD in Management from Boston University, where he also taught Marketing Research. Prof. Valentí’s research has received prestigious awards for its impact in business practice. He is the recipient of the 2018 ISMS-MSI Gary Lilien Practice Prize Award for the outstanding implementation of marketing science concepts and methods. He was also the winner of the 2017 AMA-EBSCO Answers in Action Grant initiative for a project that represents a deep collaboration between academia and industry. Prof. Valentí has professional and academic experience in four continents. He has advised service and industrial multinationals in several sectors, and co-founded and participated in the development of a tech startup.